2018 boasts strongest Q1 on record for Italian private equity buyouts. In the first quarter of 2018, Italy broke new volume and value records for private equity (PE) buyouts, according to an exclusive new report from Italian law firm Gatti Pavesi Bianchi (GPB). 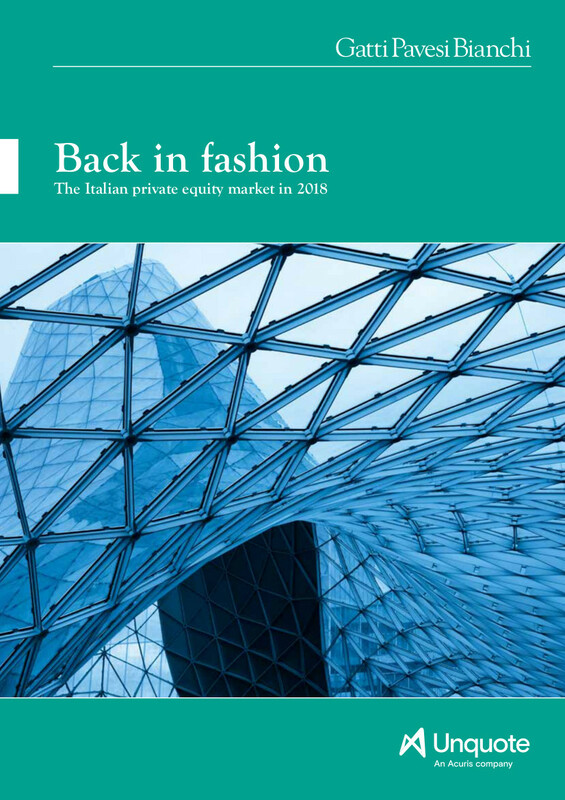 The report, produced in association with Unquote, reveals that Italy’s family-owned businesses (85% of all companies in the country) are at the heart of the new PE boom. A large number of Italian SMEs, with their reputation for quality products, steady cashflow and scope for international growth, have proven ideal targets for PE activity. The record-breaking Q1 marks a continuation of the momentum seen over the last two years. There are also concerns that continued corruption and the ongoing banking crisis could pose risks for dealmakers. Nevertheless, having successfully navigated these hurdles in the first quarter of the year, it looks likely that Italian PE will continue to flourish in the coming months. Three major PE buyout records were broken in Q1 2018. There were seven deals over €100m (the highest Q1 large-deal volume); €4.7bn was the highest Q1 value total; and Q1 also saw the highest volume on record (34 deals). The financial sector was the strongest in terms of activity across 2016-17, accounting for 25% of overall deal value. Other popular sectors included industrials and chemicals and technology. In the wake of the banking crisis affecting the country, investors have been drawn to new sources of finance for their businesses. Special purpose acquisition companies (SPACs) have proven incredibly popular in the Italian stock market over the last 12 months and have in turn benefitted from the government’s introduction of individual investment savings accounts (PIRs).